This is usually a florist, a bakery, a catering company or a restaurant of which there seem to be an abundance in small-town America. The truly ground-breaking films have our heroine (for it is always a she) as a struggling dancer/single mother whose passion has been stymied by the need to, ya know, make a living. But sadly, she’s never very good at running this business, because being passionate about something is incompatible with making a living. FOR NOW. 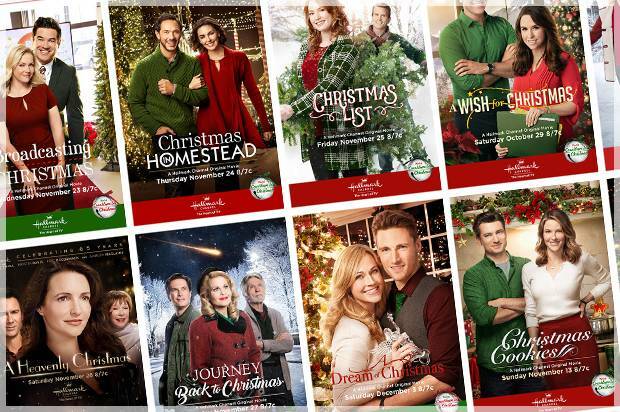 Hallmark films come with a surprisingly anti-capitalist message which I, for one, am right there for. The villain of the piece is inevitably a soulless corporate or land developer, always male, who has set his malicious sights set on Jennifer’s struggling enterprise – and she doesn’t have the financial means to fight him. But Katie will deliver an emotional monologue about why her business means so much to the community AND work out a way to make it flourish (ie bring in profits) because who are we kidding, capitalism rocks. I mean, NO redeeming qualities wrong, but Amber just keeps making excuses for him, foolish woman! Mark puts her down and doesn’t understand why she cares so much about her little company (she’s only poured her heart and soul into it, Mark!). He’s a jerk to waiters, doesn’t show up to things or is very late, is constantly on his phone, probably works in finance (HORROR!) and in the most sinister twist, it turns out he was part of the corporate takeover all along. Sigh. Men, amiright? But wait, #notallmen! Because lo and behold, Lauren has a sweet, kindhearted, inexplicably single, male best friend who ADORES her and it takes her 90 minutes to notice (86 minutes, to be precise, plus four minutes of credits). Joe has another female friend who is his cousin or his sister or else keeps reminding us that she “loves him like a brother” to explain why she doesn’t nab him herself, when she is always lamenting about his state of perpetual singledom since he is SUCH A NICE GUY. Probably her mother. She was either the one who started the business or instilled in Jessica a love for cooking/flowers/food which is why she just can’t let the grubby developer get their dirty mitts on it and knock down the building to make way for condos (curse you, progress!). Bonus sympathy points for Kelsey if both her parents are dead. Probably her mother. She is desperate for Annie to get married because all she wants is for her to start pumping out those grandbabies, and she doesn’t care who sires them, dammit. Mama also wants Mitzi to have a BIG wedding to Mr Finance, but has a teary heart-to-heart with her daughter in the third act, where she admits that she neglected her daughter because she was too busy having her own career (God forbid!) and finally lets her go at the ripe old age of 35. Because it’s when her mother passed away or neglected her MOST (same thing, really) and all those happy families make her beautifully sad. But don’t worry, because Victoria will rediscover her love for the season and have her house tinsel-covered and twinkling before the credits roll. I enjoyed this post but I love watching all the mindnumbing Hallmark Christmas movies so it’s not surprising! Merry Christmas, Happy Crimbo to you dear! And… they always seem to fall into each other’s arms, either while playing in the snow or decorating the tree/house and she falls off the ladder into his open arms. I love watching them, but this year there were so many cheesy ones… almost painful to watch at times.